United States and Russia have agreed to push both sides in Syria to find an end to the bloodshed, offering to hold an international conference in search of peace. UN-Arab League envoy to Syria Lakhdar Brahimi on Wednesday "warmly welcomed" the agreement, a statement from his office said. "This is the first hopeful news concerning that unhappy country in a very long time," it said. "The statements made in Moscow constitute a very significant first step forward. It is nevertheless only a first step." "There is every reason to expect" backing for the accord from the remaining UN Security Council permanent members, the statement said. "It is equally important that the entire region mobilises in the support of the process," it added. 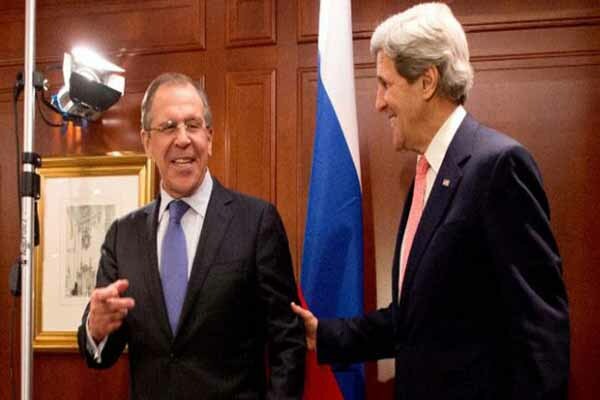 In talks which stretched late into the night, US Secretary of State John Kerry met first for more than two hours with President Vladimir Putin on Tuesday and then for a further three with Foreign Minister Sergei Lavrov. "We agreed that Russia and the United States will encourage both the Syria government and opposition groups to find a political solution," Lavrov told reporters at a concluding news conference that ended after midnight.